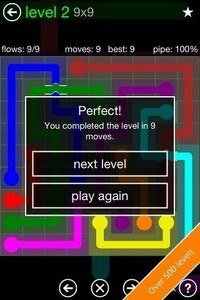 From the makers of the #1 hit app Flow Free, comes a fun and challenging new twist: Bridges! 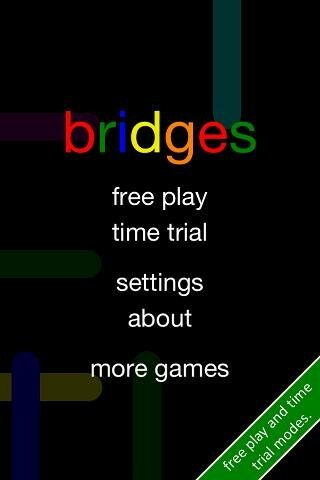 If you like Flow Free, you'll love Flow Free: Bridges! Connect matching colors with pipe to create a flow. 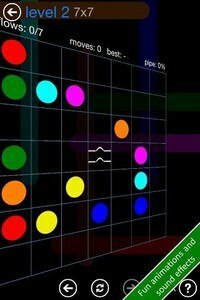 Pair all colors and cover the entire board. 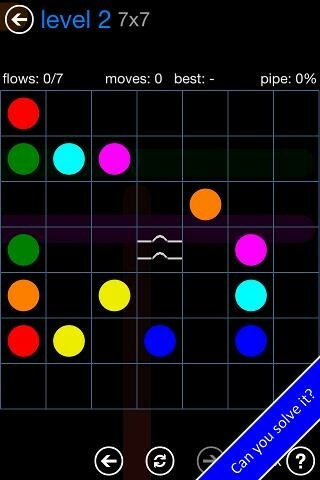 Use the new Bridges to cross two pipes and solve each puzzle in Flow Free: Bridges! Free play through hundreds of levels, or race against the clock in Time Trial mode. Flow Free: Bridges gameplay ranges from simple and relaxed, to challenging and frenetic, and everywhere in between. How you play is up to you. So, give Flow Free: Bridges a try, and experience "mind like water"! Special thanks to Noodlecake Studios, creators of Super Stickman Golf, for their work on Flow Free: Bridges!